Prime Minister Narendra Modi has given "a decisive and corruption-free government to the nation", Bharatiya Janata Party president Amit Shah said on Friday, stressing the achievements of the NDA government on its completing two years in office.“After 10 years of turmoil under the scam-tainted and corrupt UPA regime, the country got a government which has not only taken key decisions but has also implemented them wholeheartedly. We have given a corruption-free government. 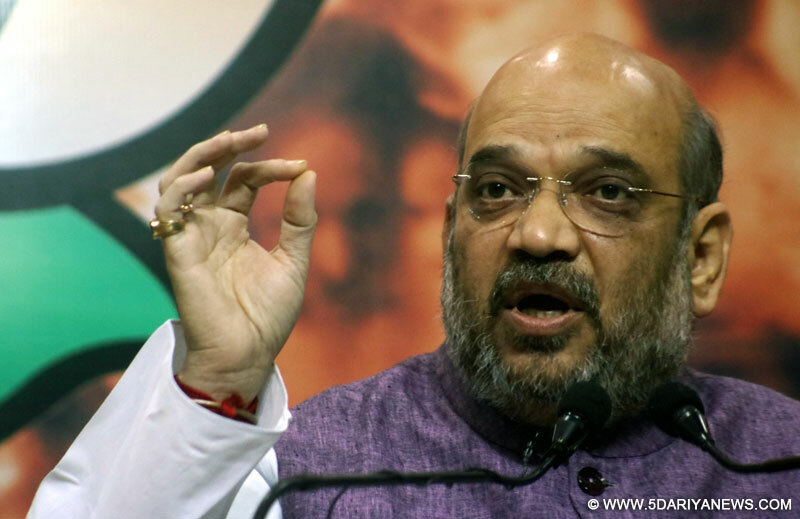 Even our opponents could not point corruption charges on us,” Shah said addressing a press conference here. He added that the government has taken steps to provide long term solutions to end poverty, unemployment and farmers' problems. “This government has taken a balanced approach for the nation's all-round development," he said, adding that 21 crore Jan Dhan accounts were opened and people have deposited more than Rs.35,000 crore in them.“Seventeen crore Rupay cards have been given to the bank account holders while loans have been disbursed to more than 3.5 crore people under Mudra Yojana,” he added, elaborating on the National Democratic Alliance government's achievements. The BJP president also insisted that the country has seen the highest production of urea, power and coal in 2015 under the Modi government.